As a companion to its Geeni smart light bulbs, Merkury offers a smart plug, which existing Geeni users can control using the same app. The plug itself includes a single socket that attaches directly to the wall. It’s a bit oversized, so you’ll need to mount it in the bottom socket on a standard two-socket wall plate if you want to keep the top socket free. As with Geeni’s bulbs, the socket connects to your smart phone via Wi-Fi—so no hub is needed—and a simple pairing system gets things up and running within a couple of minutes. Energy usage is tracked in real-time and plotted on a long-term graph. 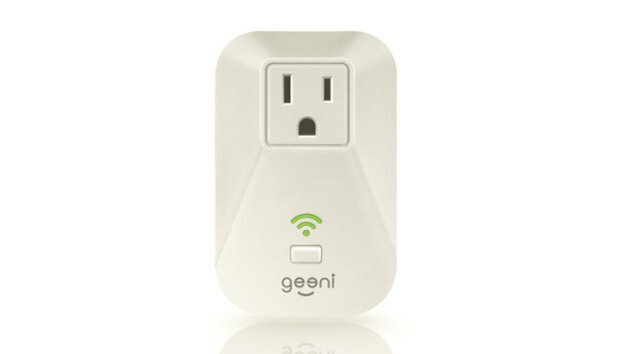 From there you can control the smart plug via the Geeni app for iOS or Android. If you’re familiar with the app (or have read our Geeni lighting review), you won’t find any surprises here. As with the bulbs, it’s a very basic system that lets you turn the plug on or off with a tap, and it offers a simple scheduling system as well as a countdown timer if you want to shut something off (like your electric kettle) after a predetermined amount of time. Because it uses the same interface as the bulbs, you can manage both types of devices together and even program simple actions that impact both bulbs and plugs, though primarily this amounts to turning them all off or on simultaneously. Like the bulbs, the Energi smart plug is compatible with the Amazon Echo and Google Home, giving you the option using voice commands to control a lamp or small appliance that’s plugged into it. Unlike with Belkin’s Wemo product line, we haven’t heard any news from Merkury Innovations about supporting Apple’s HomeKit ecosystem down the road. 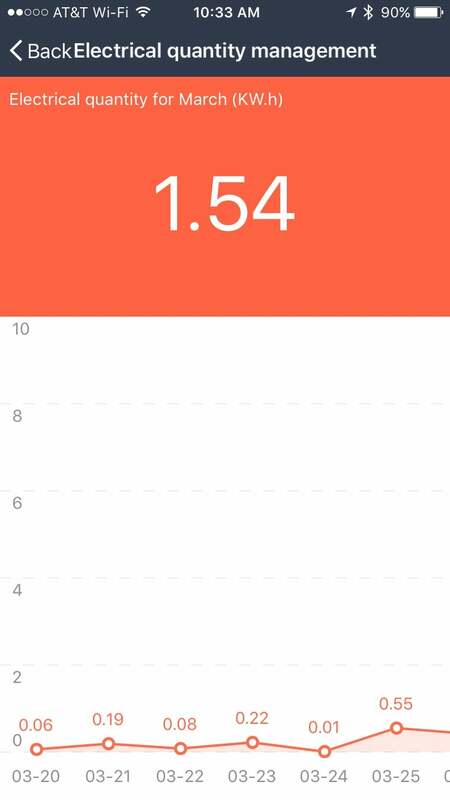 The Energi plug also offers an energy-tracking feature, so you can keep tabs on your power consumption. This includes both real-time statistics about the power draw, voltage, and amperage, and the app also keeps a running tally of your total usage in kilowatt-hours. The system maintains a day-by-day graph of your usage over time, and while it’s handy to look at, it would have been nice if there was a way to tie in the price you pay for power to track expenses. With a street price of just $25, the Energi is at the lower end of what you can expect for a smart plug with energy monitoring features. And that’s good, as long as those expectations for what the product can actually do don’t get too out of hand.